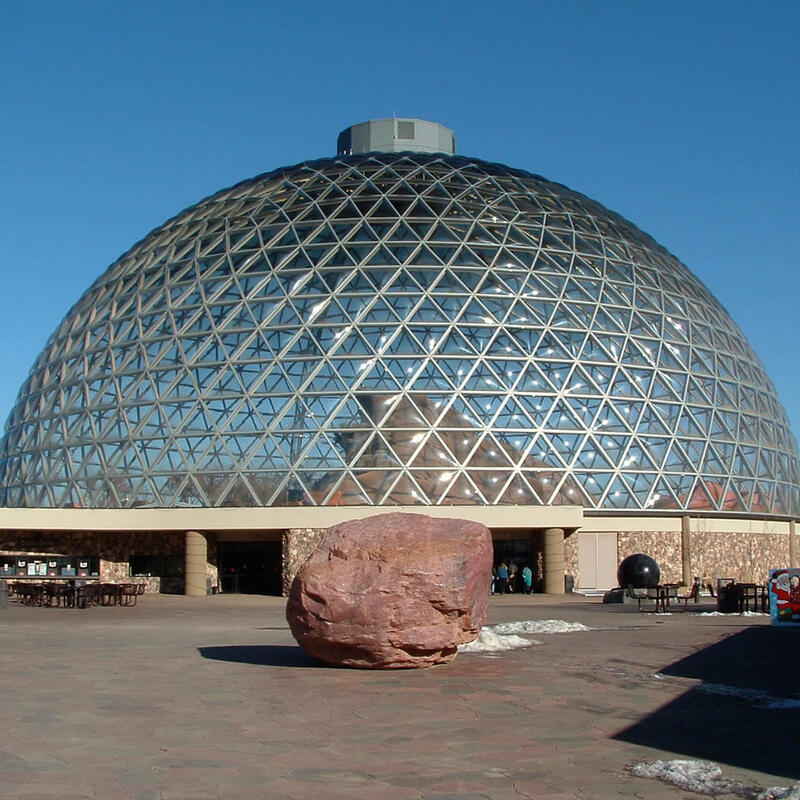 Contained inside this extraordinary geodesic dome is the world's largest indoor desert. Rising 13 stories high with a diameter 230 feed wide, the Desert Dome is a simulated habitat for animals who thrive in a dry, hot climate. The three deserts represented here include the Namib Desert of southern Africa, the Red Center of Australia, and the Sonoran Desert of the U.S.